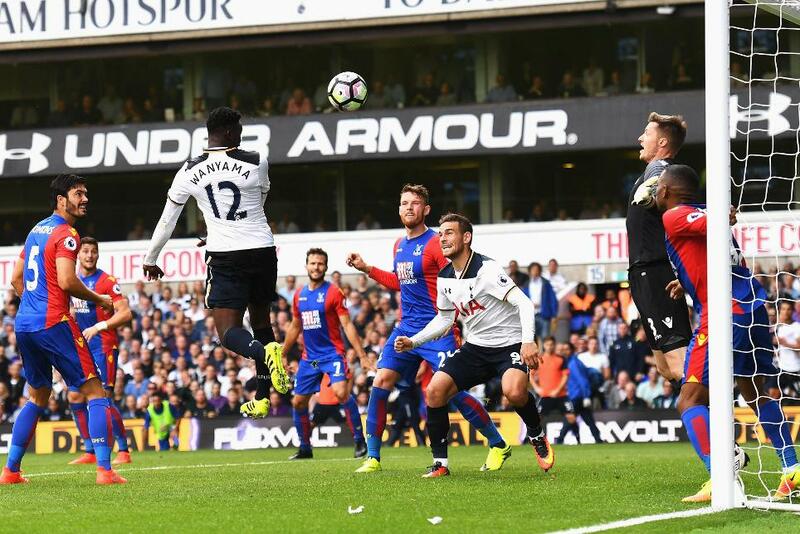 Victor Wanyama's maiden goal for Tottenham Hotspur gave them their first victory of the Premier League season at the expense of Crystal Palace at White Hart Lane. Wanyama headed past the impressive Wayne Hennessey in the 83rd minute after the Palace goalkeeper had earlier denied the hosts with an array of saves either side of the break. Mauricio Pochettino was without captain Hugo Lloris through injury and replacement Michel Vorm was tested inside two minutes when Jason Puncheon’s low drive needed stopping. Spurs had numerous chances to take the lead but found Hennessey in inspired form just a week after goalkeeping heroics from Maarten Stekelenburg denied them an opening-day victory at Goodison Park. Toby Alderweireld should have done better with a free header from eight yards, nodding straight at the Eagles’ No 1, before Christian Eriksen – making his 100th Premier League appearance – wasted a golden opportunity to gift Harry Kane a one-on-one. Kane was in search of a 50th Premier League goal in his 88th appearance and although the milestone ultimately evaded him, it was his header that helped earn the three points. The striker, who started in attack alongside summer signing Vincent Janssen, diverted a corner kick into the path of Wanyama, who had the simple task of finishing from close range. Palace lacked creativity in the final third, mustering only two shots on goal in the 90 minutes, and Alan Pardew will be hoping new recruit Christian Benteke can change their fortunes against AFC Bournemouth next weekend.